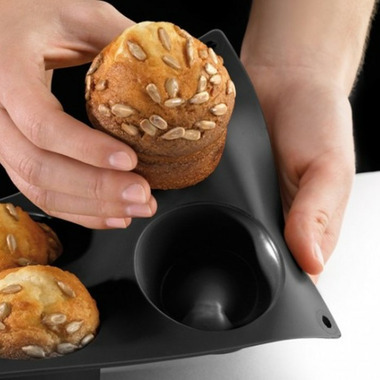 The Lekue silicone muffin and cupcake baking mold is flexible and nonstick, and allows you to achieve professional baking results at home. 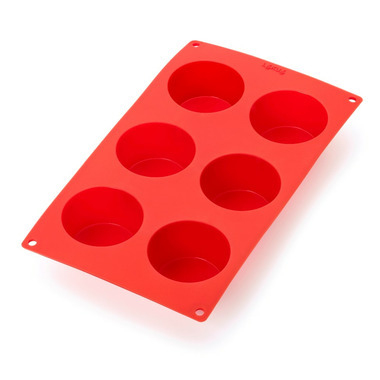 The mold is constructed of platinum silicone, resulting in even and consistent baking of your favorite recipe. Reinforcements at the base improve stability and non-stick design means no greasing needed. Makes 6 muffins.